Dancers who have participated in IDF-SV continue to praise their great experiences. Vanessa Nudd danced in Full Day of Dance© in the first season and came back to do the Mon-Fri workshops, in 2013. She wrote these comments to Leslie Friedman, director and founder of the Festival. Leslie taught Tech, Rep, and Comp/Improv, 2013.
pictures: Vanessa Nudd working on her site specific improv project, IDF-SV, 2013. 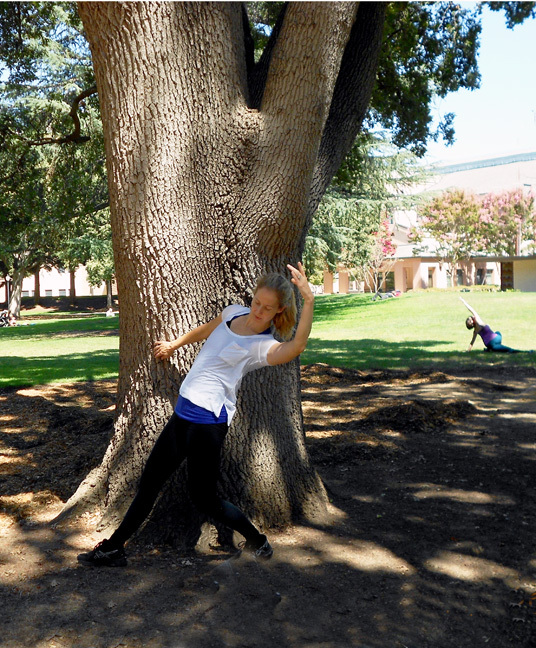 This entry was posted in INTERNATIONAL DANCE FESTIVAL-SILICON VALLEY and tagged Contemporary Dance, Improvisation, International Dance Festival-Silicon Valley, Mountain View CA, Summer Dance Festival, Vanessa Nudd on February 16, 2014 by Leslie.